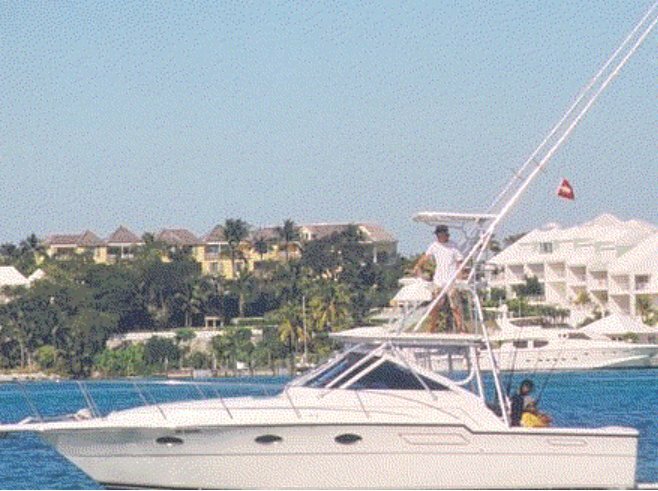 This is 36' Tiara Express with a Marlin Tower and large fishing cockpit. She can comfortably accommodate up to 5 persons for fishing, sightseeing and snorkeling. Our half-day charters are 8 a.m. to 12 noon and 1 p.m. to 5 p.m.; on full day charters our departure times are flexible. 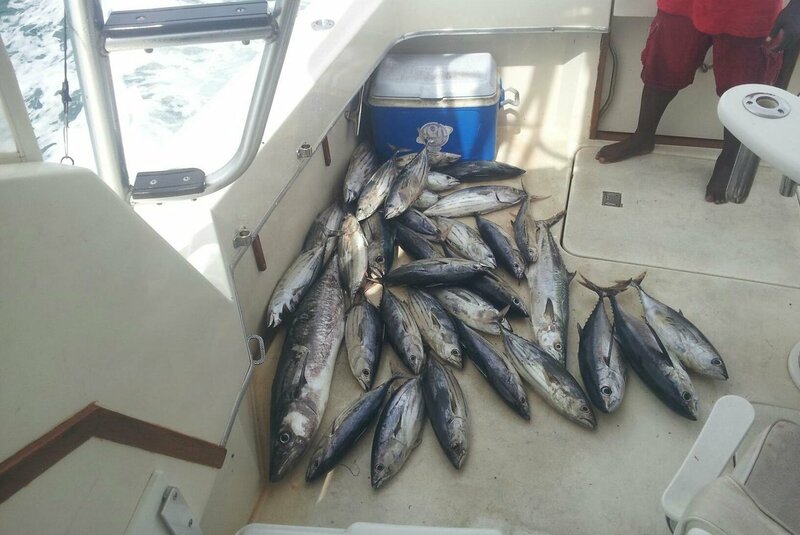 We also offer a 5 hour morning charter starting at 7:30 a.m. to 12:30 p.m. and a 5 or 6 hour afternoon charter starting at 1 p.m. during daylight saving time months. 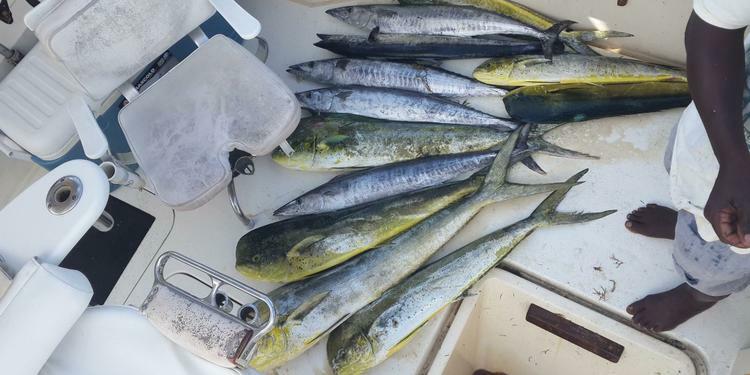 The cost includes captain, mate, bottled water, ice and all fishing and snorkeling equipment. Food, soft drinks and beer are not included, but with advance notice can be put on board at an additional charge. 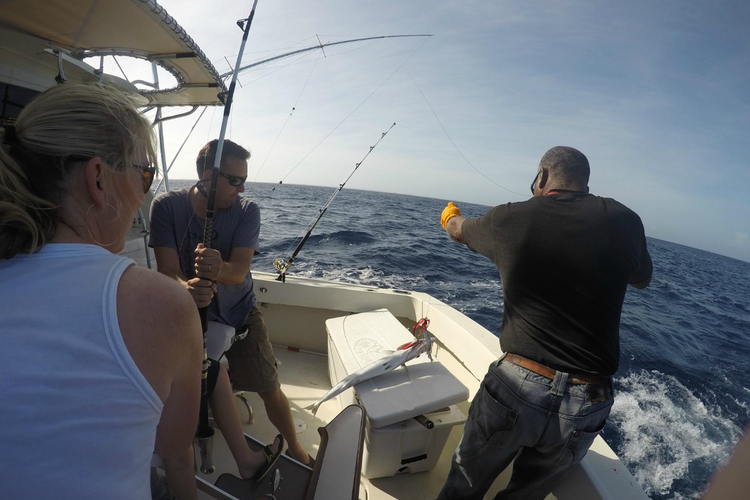 Our fishing equipment is all top quality custom made Rods with two speed Avet and Penn International Reels. 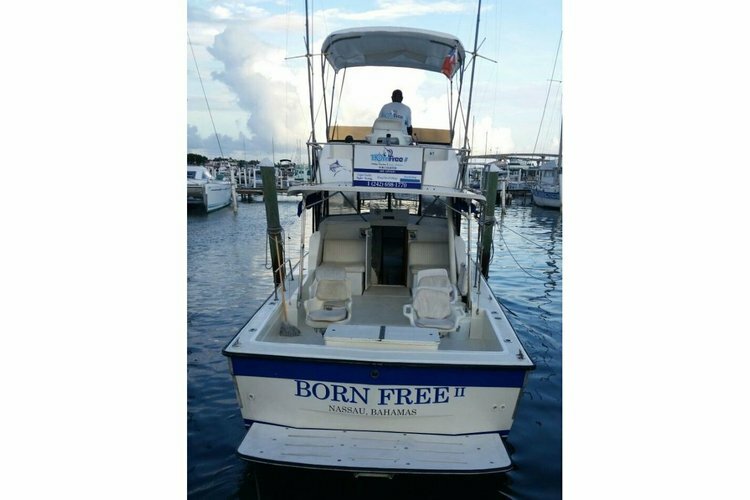 Electronics consist of Raymarine Depth & Fish Finders, VHF Radio, Garmin GPS.